Former fresno State football player George Zuniga (3-0) puts his undefeated streak on the line against another fighter who has a goose egg in his record. 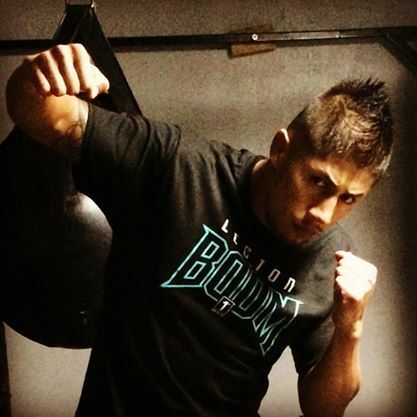 Zuniga battles fellow Blake Watson (4-0) on the Bellator 133 fight card February 13 on Spike. We caught up with Zuniga who says he is prepared to take the fight anywhere. take on the ground,” he said. He made his debut back in September and defeated his opponent Granson Clark via knockout in just 34 seconds. Watson last fought in 2014 and is making his Bellator debut. He said the transition from football training to mixed martial arts was an eye opener. “It was traumatic at first,” he said. Hear him talk about his upcoming fight and how he adjusted from football to mixed martial arts. Previous: WSOF Champion Marlon Moraes Says The Title is Staying in the U.S. of A.